Asheville, NC – Today, North Carolina Governor Roy Cooper signed an executive order, “Executive Order NO. 80: North Carolina’s Commitment to Address Climate Change and Transition to a Clean Energy Economy,” that set forth aggressive targets and a bold vision for addressing climate change in the state. The order aims to reduce greenhouse gas emissions by 40% from 2012 levels by 2025. Executive Order No. 80 comes on the heels of Hurricane Florence and 2017’s Hurricane Matthew that caused major destruction to communities across the state and cost taxpayers billions. It also follows a major report from the UN Intergovernmental Panel on Climate Change (IPCC) that warns that the world only has a short window to address climate change before catastrophic impacts dramatically increase. The IPCC report places a heavy emphasis on the dual strategy of reducing fossil fuel consumption and protecting forests. In our recent report, “Seeing the Forest: Nature’s Solution to Climate Change” we found based on the latest science, if we stop deforestation, protect and restore degraded forests, and expand forests, we could reduce annual emissions by 75% in the next fifty years. If we also phase out fossil fuels, we could easily meet the goals of the Paris Agreement and avoid catastrophic climate change. These goals are lofty, but not unattainable, especially if the world unites for a common vision of keeping climate change at just 1.5 degrees Celsius. The NC order promotes strategies that increase the number of registered emission free vehicles in the state, reduce energy consumption in state buildings, and continue to wean the state from fossil fuel electricity. A bold strategy is needed to protect and restore forests across North Carolina. A vital component of the executive order is climate adaptation and readying the citizens of the state for further damaging storms and impact from a changing climate. Forests are our community’s best defense against flooding and storm surge and are needed to continue to capture and store carbon. Now is the time to rethink the way we value forests in the state in order to create more resilient and healthier communities, ecosystems and economies. We must accurately and transparently account for carbon emissions from the forestry sector, including the wood pellet industry that is cutting down forests in the state to turn them into pellets to ship to Europe and Asia to burn for electricity. We encourage Governor Cooper to pull the brakes on this industry and instead promote forest protection as a climate adaptation strategy. 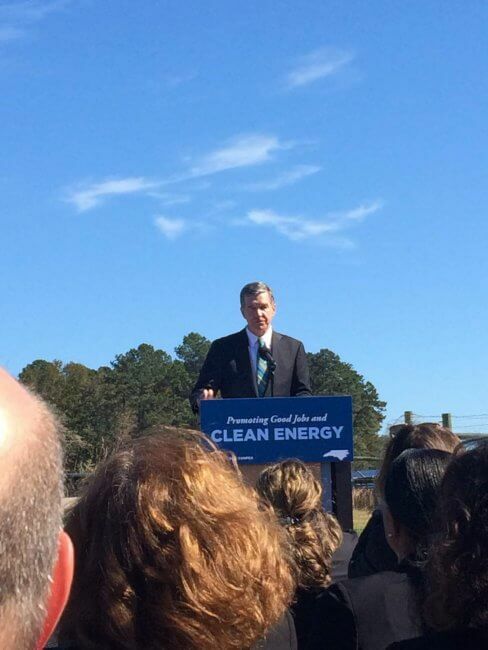 Governor Roy Cooper outlines a bold new vision delivered today via Executive Order for tackling climate change in the state of North Carolina. 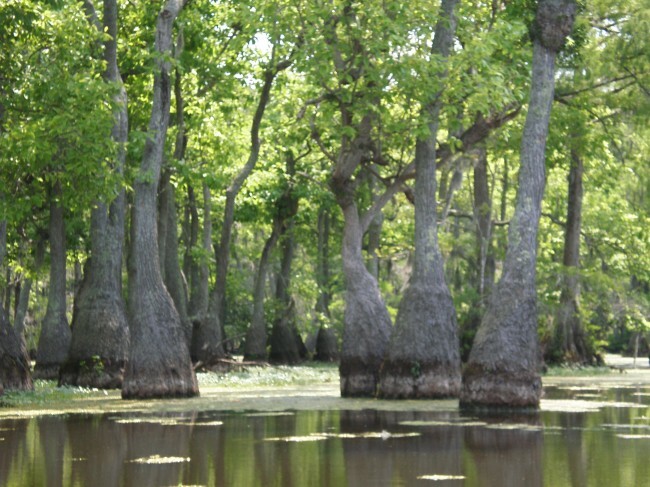 Dogwood Alliance asserts that standing forests are our best defense against a changing climate and hopes they will play a central role in Cooper’s plan.